Valentine’s Day is only two days away! 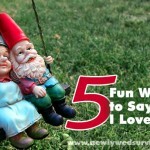 Are you scrambling for a DIY gift idea for your spouse? Here are some pins from Pinterest to help you find the perfect last minute present for your husband or wife. Create a book of future “gifts.” Like a massage, a night where you get to control the TV, favorite meal, etc. Here are two easy to make versions. The first out of paint chips and the second is a free printable…just print and fill in! 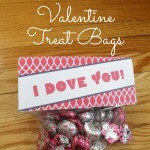 For more Valentine’s Day DIY gift ideas check out my “Gift Ideas for Your Spouse” board on Pinterest. While you are there, please feel free to follow me! Thanks for this, shared because I know some last minute people!